Loving Vincent - Available as a download or stream? 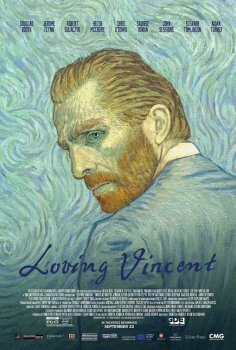 "Loving Vincent" is an animated biopic about Vincent van Gogh, currently planned for release in the United States on September 22nd, 2017. It is the first ever fully painted feature film, each of the film's 65,000 frames is an oil painting on canvas, made using the same technique as Van Gogh, created by a team of 115 painters. The movie is directed by Dorota Kobiela & Hugh Welchman, who both co-wrote the film alongside Jacek Dehnel.